Give us this day our daily bread. That's our prayer this side of Eden. Give us food for the day. Food for the journey. And though we no longer deserve the abundance of that Garden, still the Lord provides more than we ask for and more than we need. Bread is for us just as it was for Katniss, terribly hard, painful, death work. Laboring for food that perishes to feed a body that will also perish. And yet the bread that causes sweat to bead on our foreheads and dirt to crust under our fingernails and thorns to prick us incessantly with Adam's curse - that bread is also our life. That's how we keep going on our journey, that's how we are sustained with a will to live and given strength to endure the road that goes ever on and on. That's how Adam and Eve were fed after their eviction. That's how Joseph was fed in a foreign land and how he fed others. That's how Moses and the elders were fed at the Mountain. That's how Israel was fed in haste. That's how David dared to eat the holy food in the holy place. That's how Elijah was fed in his desperation: "Arise, eat!' That's how the multitudes were fed as their Shepherd led them to still waters and green pastures. That's how the disciples were fed on the night in which Jesus was betrayed. That is how we are fed. Bread of curse becomes bread of life. Take, eat. Take, drink. Live. Be forgiven. And I will raise you up on the Last Day. In reading the Gospel account of John 6 for this Sunday, I couldn't help but think of all the bread that has sustained the Lord's people in the Scriptures and how this is reflected even in literature. It was not a new thought. But one that bears more weight when looking at John 6 and Jesus' bread of life discourse. No doubt there are many uses of bread in good books, old and new. None perhaps more memorable (thanks to the help of Peter Jackson) than lembas in The Lord of the Rings. Hobbits, men and elves needed to be fed too as they journeyed to the land of shadows. And along their way the Company was fed by lembas from Lorien. It is food of the elves. 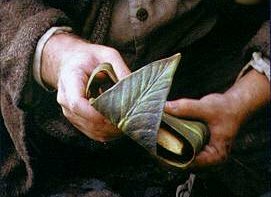 In a way, lembas is to Middle-Earth as manna was to the Israelites. So, what is it? Tolkien calls it waybread, "thin cakes made of a meal that was baked a light brown on the outside, and inside was the colour of cream." It was sweeter than honey and one cake was said to be enough for a day's march. It was a gift of the elves. "Eat a little at a time, and only at need. For these things are given to serve you when all else fails. The cakes will keep sweet for many days, if they are unbroken and left in their leaf-wrappings, as we have brought them. One will keep a traveller on his feet for a day of long labour, even if he be one of the tall Men of Minas Tirith" (LOTR, I, 360-361). Bread is given. Gift-bread. Grace-bread. Sound familiar? It should In lembas we see a picture - and I think an intentional one - of the Eucharist, where Jesus gives us bread for the journey, food to strengthen our life and will, sustenance that will see us through to the end and beyond (if we are to take Revelation seriously). Jesus not only gives bread. He is bread. I AM the Bread of Life. Or, to translate it for Hobbits, I AM the Lembas of Life. I will support, strengthen and feed you when all else fails. "The bread of God is he who comes down from heaven and gives life to the world." And just how does this life of God come to us? In water and words to be sure. But also in bread and wine. Lord, give us this bread always! "In the book lembas has two functions. It is a 'machine; or device for making credible the long marches with little provision, in a world which I have said 'miles are miles'. But that is relatively unimportant. It also has much larger significance, of what might hesitatingly be called a 'religious' kind. This becomes later apparent, especially in the chapter 'Mount Doom' (Letters of Tolkien, ed. Humphrey Carpenter, Houghton Mifflin, 2000, p. 275). The footnote is just as tasty: "The lembas had a virtue without which they would long ago have laid down to die...It fed the will, and it gave strength to endure, and to master sinew and limb beyond the measure of mortal kind." And commenting in another letter on one of his critic's observations, Tolkien says that, "Another saw in waybread (lembas) = viaticum and the reference to its feeding the will and being more potent when fasting, a derivation of the Eucharist. (That is: fare greater things may colour the mind in dealing with the far lesser things of a fairy-story.) (Letters of Tolkien, ed. Humphrey Carpenter, Houghton Mifflin, 2000, p. 288). We shouldn't be surprised to find glimpses of the Eucharist displayed as food for the journey in an epic tale such as this. Tolkien wasn't surprised. According to him, his Christian faith was evident to those who read the books aright. In the fairy stories of Tolkien (and many others) we see far greater things even as we read the adventures and tales of far lesser things (though not to demerit their importance). For we see in the lembas a picture of the true Lembas from heaven, Jesus. He is our food for the journey. His word sustains us. His Baptism gives us living water that slakes our thirst. His absolution fills our ears with forgiveness. And his body and blood feed us with true earthly and heavenly food. 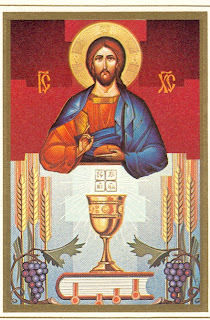 Here in the Supper, the bread of the curse becomes the bread of life. Jesus feeds us on earth as it is in heaven. This is sacred eating. And it even hallows our daily bread in a sacramental way. Jesus feeds us in both body and soul at his table and ours. The wicked will not delight in this gift or in the spread of fine dining. They cannot tolerate this holy food. Like Gollum, they choke on its divine goodness and favor. Lembas is poison to the wicked. But not so the righteous. They rejoice in this Bread of Life. The Bread of Heaven is a delight and the Baptized beg their Lord for scraps from his table as he opens our mouths wide to fill them. For he fills the hungry with good things. And so we journey on, knowing that there will come a Day when we will dine in even greater abundance at the feast of the Lamb in his kingdom which has no end. We will arise with Elijah, dine with Moses and the prophets, dance with David, be clothed in the Lamb's light with Adam and Eve and all the saints clad in white and we will sit beside the still waters and never hunger again. Lord, give us this bread always. Give us this day our daily Jesus. For whoever eats this bread will live forever. The table is set and all is ready. Come and get it! I was by now too experienced in my literary criticism to regard the Gospels as myths. They had not the mythical taste…if ever a myth had become fact, had been incarnated, it would be just like this. And nothing else in all literature was just like this. Myths were like it in one way. Histories were like it in another. But nothing was simply like it. And no person was like the Person it depicted; as real, as recognizable, through all that depth of time…yet so numinous, a light from beyond the world, a god. But if a god – we are not polytheists – then not a god, but God…myth became fact; the Word became flesh, God, man. In part two of Biblical Apologetics, we continue to examine the manifold ways the Scriptures themselves breathe out Christ’s very life and Words into the apologetic task. That is to say, the defense of the Christian faith is woven into the same fabric of the Scriptures that form the foundation for all doctrine and practice - our only source and norm – including apologetics. Christian apologetics is normed and guided by Scripture. And we do well to approach the Scriptures with apologetics in mind. For apologetics and the proclamation of the Gospel are a blessed confluence, flowing right into the Church’s mission and ministry and directly out of our lips to ears who will hear (Romans 10:17). Previously, we cited examples of biblical apologetics from both Jesus and St. Paul. And though this is by no means an exhaustive list, here are some more passages in the long list of evidence that we might use in our confession of the reason for our hope in Christ’s resurrection (1 Peter 3:15). He also made similar claims in reference to his own body and to his own death and resurrection in John 2:18ff: “Destroy this temple and I will raise it again in three days…” He also answers Thomas skepticism with by submitting the ultimate evidence into review: “Thomas, Reach your finger here, and look at My hands; and reach your hand here, and put it into My side. Do not be unbelieving, but believing” (John 20). 2. In Matthew 12:24-30 Jesus made frequent use of well known methods of reasoning (argumentation) which also fill the apologist’s tool box: 1) arguments from analogy, 2) reduction ad absurdum, 3) the law of contradiction, just to name a few. 3. It’s no wonder then, that the disciples and apostles – including St. Paul – learned the defense of the faith from their master and used it frequently as the Gospel continued to go forth to the nations from Jerusalem. The book of Acts and the Epistles of Paul are stuffed with examples. The constant confession of the apostles was this: Christ Jesus was crucified, dead, buried and risen from the dead and of this we are eyewitnesses (Acts 2:32). Peter proclaims this at the beginning of the book of Acts, in his Pentecost sermon no less. 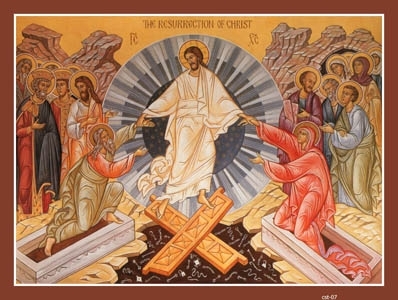 The central event of the entire Christian faith – Christ’s death and resurrection – was always proclaimed by the apostles as grounded in the objective facts of history and is now accompanied by a long list of evidence that is better attested than any other event in ancient history. This is good for us today too in our proclamation. The same Gospel we proclaim is founded on fact, not feeling. The old hymn (if it can really be called that) – “you ask me how I know he lives, he lives in my heart” – is wrong. The defense of the Christian message does not rely on my heart, my feelings but on the sure and certain historical facts whether or not my heart believes it to be true. 4. In Acts 4:33, the apostles continue to give witness to the resurrection of Jesus in their preaching and teaching. 5. Even when under public scrutiny, in trial, amidst the threat of punishment and imprisonment (Acts 5:32ff), the apostles continue to make their eyewitness claim to the Gospel known before all. This is yet another mark of authenticity in the eyewitness accounts. Many men have gone to their death believing a lie, having been hoodwinked (Heaven’s Gate and any number of cults could be cited). However it much less likely that men will go to their death’s willingly for something they know to be false and yet claim as truth. This however, simply does not add up to the facts as they are recorded in the Gospel accounts. At point A on Good Friday the disciples saw Jesus dead. At point B on Easter Sunday (and thereafter) they saw Jesus alive. Jesus’ death and resurrection is the event that best fits the evidence. Not to mention the grand conspiracy that would have to take place, defeating all odds, if the disciples were all in on the lie together and had to maintain the same story repeatedly. The amount of work it would take would be overwhelming. In fact, the truth is far simpler. Jesus died. Jesus rose. They saw it and now they tell people what they saw. 6. In closing, I offer two more examples with a few key words highlighted for emphasis. Notice the evidential nature of these passages. It would appear that one more segment of this column, Biblical Apologetics, is in order. In the third and final installment, we’ll take a closer look at one of the famous apologetic exchanges in the book of Acts, namely, St. Paul in Athens as he makes the unknown god known through evidential apologetics. I ran across a Luther quotation on Facebook this morning. And to paraphrase, it goes something like this: "It is not enough to believe in the resurrection...but you must also believe that this Jesus was crucified and rose from the dead for you." As I read that quotation I instantly recalled a portion from C.S. Lewis's Letters to Malcom: Chiefly on Prayer that revealed the same personal care that Christ has, not only for his creation, but in buying back his creation from sin and death by his own death on the cross. Lewis calls it special providence in the realm of creation, what Lutherans often call first article gifts. But do we not have the gifts of creation precisely because of Christ's work on the cross in the second article? And we dare not forget the third...not by my own reason or strength, but by the Holy Spirit who calls, gathers and enlightens the whole Christian Church. And the same Spirit who calls, gathers and enlightens you. This is where the Gospel also comes to roost, in the "for you" of Christ's promises, no matter which article of the creed they come from (indeed they come in all three); Christ cares for us in body and soul. In Letters to Malcom, epistle ten, Lewis addresses what he sees as a deficiency in Alexander Pope's understanding of prayer. In an essay on the nature of man, Pope writes, "The first Almighty Cause acts not by partial but by general laws." To which Lewis comments, "How should the True Creator work by 'general laws'? 'To generalize is to be an idiot,' says Blake." Lewis is on to something here. We do not have a general, generic God. Nor does he create in a generic, general way. And neither does he save in generic, abstractions. God is the God of human flesh and skin and bone. He is the God who weeps and bleeds and grows weary. He is the God who is born of a specific woman, Mary, in a specific town, Bethlehem of Judea. And he is anything but an abstract Savior. For we do not have abstract general sins (although we may call them such); we have real sins for which we need a real, tangible Savior. He takes your sin - every detailed wort, foible and gritty rebellion - and he nails it to the cross. This is the kind of Rescuer you have in Jesus. He may choose to work through ordinary ways and means but he is anything but ordinary or general. Your divine rescue on the cross, too, is anything but general. It is specific, down to the suffering of the very hour. He thirsted. He spoke with his disciples. He prayed for others. He gave heaven away to thieves (on their crosses and on the ground). He sighed. He cried out. He breathed his last. He gave up his spirit. He died. But he also rose, and not from an unmarked grave. There is no tomb of the unknown Savior. There is an empty tomb and what's more, a resurrected Jesus. Yes, it's historical, reliable, fact and remarkably verifiable. And it's also yours. All Jesus does is for you. This specific Redeemer comes to you in specific ways: water, words, bread and wine. Liturgy. Church. Prayer. Vocation. For you! (But don't forget that in the background always moves the hidden, quiet, for-others-through-you manner in which Christ works). "I will not believe in the Managerial God and his general laws. If there is Providence at all, everything is providential and every providence is a special providence. It is an old and pious saying that Christ died not only for Man but for each, man just as much as if each had been the only man there was. Can I not believe the same of this creative act - which, as spread out in time, we call destiny or history? It is for the sake of each human soul. Each is an end. Perhaps for each beast. Perhaps even each particle of matter - the night sky suggests that the inanimate also has for God some value we cannot imagine. His ways are not (not there, anyway) like ours. If you ask why I believe all this, I can only reply that we are taught, both by precept and example, to pray, and that prayer would be meaningless in the sort of universe Pope pictured. One of the purposes for which God created prayer may have been to bear witness that the course of events is not governed like a state but created like a work o art to which every being makes its contribution and (in prayer) a conscious contribution, and in which ever being is both an end and a means." C.S. Lewis, Letters to Malcom: Chiefly on Prayer, p. 55-56. It took a few more days than I had hoped. But here's a link to my recent interview on Issues Etc. discussing, in brief, the problem of evil, also known as theodicy. The interview was based on an article I wrote for the Brothers of John the Steadfast's apologetics column and you can find the interview by clicking here. It was a great interview and many thanks to Issues for having me on from time to time. What a joy and an honor to be a part of their world-wide outreach. The following sermon was preached at Higher Things Twelve on campus at Concordia University, Irvine in the CU Center. It was a joy and an honor to deliver the Good News to so many faithful Lutheran youth. They were encouraging, gracious and are a true hope for the future of Lutheran orthodoxy in our midst. Stay Lutheran, my friends. … if you imagine Aslan standing at the stable door. On his right true Narnians go “further up and further in,” while those on his left march off into the shadow. Crazy, outrageous even. But sometimes the true stories are far more outrageous than fiction. Take Jesus’ story of the sheep and the goats. The Son of Man comes, enthroned in glory. All the nations are gathered before him and he’s separating people one from another. Sheep to the honorable right; goats to the dishonorable left. 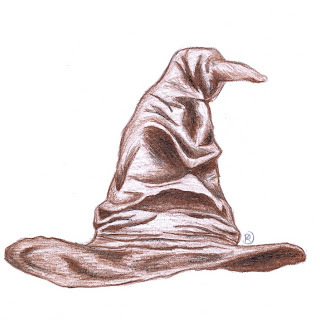 This is the eternal Sorting Hat. Notice, works are only mentioned after the separation. 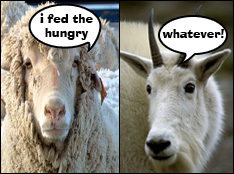 The sheep and goats are not separated on the basis of what they did or didn’t do but what they are. The Sheep are the righteous. Jesus’ righteousness Reckoned; Declared; Imputed to them. Sin covered in the blood of the Lamb. Covered by the Shepherd-King’s perfect life, death and holiness. “Come, you who are blessed by Father, inherit the kingdom prepared for you before the foundations of the world.” Pure gift. Jesus blesses you because He was cursed for you. Jesus’ inheritance is yours because He dies and leaves you with everything. 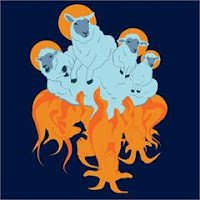 The sheep are astonished: “Lord, when did we see you hungry, thirsty, naked or imprisoned?” “As you did these things for the least of these my brothers you did it to me.” A blessed befuddlement: Jesus is hidden in the lowly losers. Sheep aren’t busy counting good works. Sheep do righteous, sheepy things as easily as good trees produce good fruit. The goats are surprised too, but for different reasons. “Lord, when did we see You hungry, thirsty, a stranger, naked, sick or in prison, and did not minister to You?” They’re as ignorant of their sin as the sheep were of their good works. They’re outraged. “If only we had known it was you, Jesus.” Goats are busy counting their works, keeping score on their iPad spreadsheet. That’s life by the Law. Working only when you know it counts. The goats are for the goats, self-serving to their own ruin. So, what are you? Sheep or goat? Luther’s famous saying is helpful: simul Justus et peccator. Describes us to the hoof. In this life we’re simultaneously sheep and goat, saint and sinner always at war with ourselves over who’s our precious. In Adam, we’re all natural born goats. Naked, caught with our fig leaves down. Starving, thirsting, sick with sin and prisoners of death. The mirror of the Law only reveals a stinking, stubborn goat. But in Christ Crucified you are a righteous Sheep, made woolly white by Jesus’ blood. Look into the Font; those still, deep waters reveal your true reflection: Jesus’ little Lamb. Baptized. Redeemed. Holy. Forgiven. Look to the Supper where Jesus fills your hungry bellies with His body and blood. Hear the Good Shepherd’s voice: “I forgive you all your sins.” You are the people of His pasture and the sheep of His pierced hands. His 12. His Israel. His flock. And here’s the most outrageous part of this whole story: the King, the Judge, is the Lamb of God who takes away the sins of the world. For while we were yet goats this Shepherd-King is led like a Lamb to the slaughter. To call you his Sheep the Lamb became a goat. Christ became the naked, hungry, thirsting, imprisoned Stranger on the cross for you. Christ became the least of all to save you. Jesus volunteers as tribute in your place in a cosmic Hunger Games. He fights to the death. Lays down his life for you. He takes your punishment, sin and death on Himself and you go home and enter the stable as Victorious. Righteous. Sheep. Real…or not real? Christ’s mercy is real…outrageous and crazy. And the best part is, it’s true and it’s all yours. As I've been collecting the audio books of Harry Potter, I continue to enjoy listening to them and hearing them again read by the delightful voice of Jim Dale. There's a reason he won so many awards and commendations for his fine work. It's as if a Broadway play is going on in your head as he reads - no, brings to life - Rowling's great work. At any rate, the more you read things the more you notice details and nuances that you missed the first (or perhaps first several) time you read. The same goes for hearing the story read. You hear things differently when it is read to you and for you. Perhaps this is why the lost art of listening needs to be recovered in our culture - especially the church. Listen to the Scriptures read for you. For faith comes by hearing and hearing by the Word of God (Romans 10:17). Hear this Word again and again and again. Receive the Word as you receive Christ's manifold blessing. And perhaps further still, the reason why we do not like listening is because our sinful flesh is at its root, like Voldemort, a theologian of glory. Power. The appearance of wisdom and intelligence. Success. Brute strength. Flashy. Entertainment. The list could go on. These are but common symptoms of the real sickness: idolatry. Love of self. That is the deadly disease that courses through the theology of glory. This goes to the heart of the 1st commandment. That person does not deserve to be called a theologian who claims to see into the invisible things of God as though they were clearly perceptible in those things that have actually happened (or have been made, created). Thesis 19, Luther's Heidelberg Disputation, 1518. To hear the Word with the ears of faith is to hear it as a theologian of the cross. In weakness. foolishness. Hidden. Lowly. Humble. Harry learned this in the Chamber of Secrets. As the basilisk bore down on him. As Voldemort taunted and jeered him and Dumbledore. As he felt his life slip away. He could only close his eyes. How weak. And all he had to trust in was a few simple things. A singing bird, Fawkes the phoenix and a hat, a dingy old hat. To all worldly wisdom this seemed ludicrous. To Voldemort this only proved his arrogance and superiority. And yet for Harry, this was the very stuff of salvation. Albus Dumbledore is a theologian of the cross. The very things that look to be so foolish and outrageously inadequate are the very things that bring rescue. Inside that ancient hat was a sword (get it...sword-in-hat!) that would find its hilt thrust into the serpent's mouth, its skull would be crushed. And that "song bird" as Voldemort sneered, his tears brought the healing that Harry so desperately needed. And his golden beak robbed the creature of his Medusa stare. 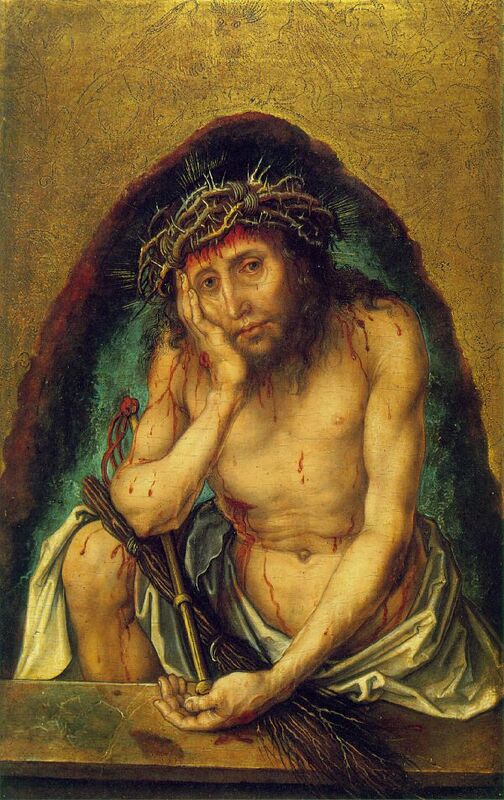 These are the tools of the theologian of the cross: hiddenness, weakness, foolishness, humility, lowly means. That's what Voldemort just couldn't figure out. But that is what the greatest of all stories - and the only true one - reveals. Christ has become your weakness; he was laid bare in utter humility before the world; he was the lowly, the loser, the fool hanging dead on the cross all to destroy the ancient serpent's power. The basilisk of hell is destroyed. Christ has crushed his head. And though the poison would bruise his heel, he would rise three days later in victory with healing - not in his tears - but in his very flesh and blood given for you. Rejoice with Dumbledore and St. Paul that Christ continues to come among us in the hidden, lowly, foolish wisdom of Christ Crucified. Jesus' death and resurrection hidden for you in tap water in a font. Jesus' redeeming body and blood hidden for you in cheap wine and thin bread. Jesus' word of absolution hidden for you in the the words of a fellow sinner charged to proclaim this message to you day in and day out. And with those gifts, you can look the devil in the eye and say, I am forgiven. Depart from me you unclean spirit and make room for the Holy Spirit. 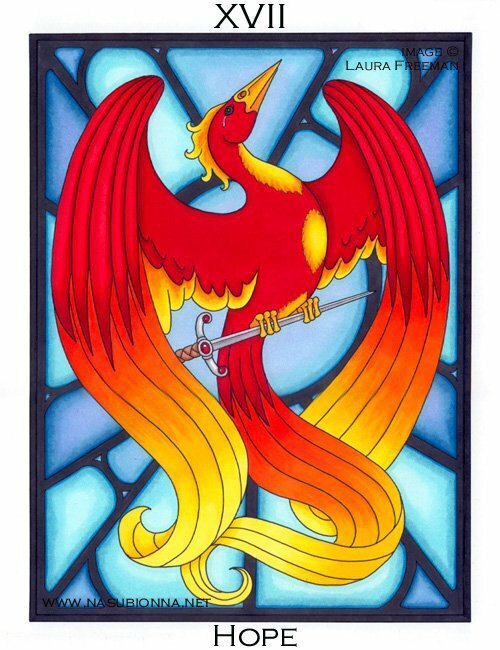 Sermon for 6th Sunday after Pentecost: "Rejected"
St. Mark has a remarkably ordinary way of depicting the part of the Creed we often take for granted: He was made man. Is this not Joseph’s son? Yup, that’s Jesus, the ordinary carpenter’s son. When he’s hungry his stomach growls like yours. When loved ones die he weeps like you do. After walking around all day he’s tired and worn out like you. Cut him and he bleeds like you. He’s like you in every respect…yet without sin. But not his own family in his hometown. They don’t get Jesus. What a contrast from last week’s readings. Last week: faith in Jesus. This week: rejection. Last week the believing un-named woman and Jairus believed and confessed. Jesus was their Savior: doing extraordinary things for them in the most ordinary of ways. This week: unbelief and scandal. Nazareth was about as ordinary as a town could be. Simple. Lowly. Humble. A town of little wealth. Just like her most famous resident: Jesus. In Nazareth People knew Jesus. They remembered when He was just a wee little Hebrew. He’d played with kids in the streets. He attended the synagogue. Everyone knew Mary and Joseph. He’d probably done most of their carpentry work. And now Jesus, the wandering teacher comes back. No homecoming party. No sign on the way into town that reads: Nazareth: hometown of Jesus Christ! It wasn’t just that Jesus rubbed the hometown crowd the wrong way. Ruffled a few feathers. No, they took offense at him. They were disgusted. Reviled. Scandalized. Where did He get the wisdom of Solomon? Where did He learn to teach like Moses? How can plain old carpenter’s hands do such great things? He’s so ordinary. And that’s what offended them. 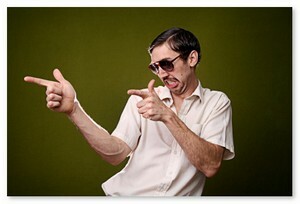 Just plain old Jesus, the guy next door with the calloused hands who built our tables and chairs. They knew His folks, they knew His family, they knew all about Him. No one thought anything out of the ordinary. Jesus wasn’t some child prodigy the way those bogus tales from the Gospel of Thomas depict: building clay pigeons and turning them into real birds or smiting down little children that picked on him. He had no glowing nimbus hovering over His head when He was a kid. He was holy in a hidden sort of way. Imagine that – the sinless Son of God in human flesh goes completely unnoticed. Jesus was right: “A prophet is not without honor, except in his hometown and among his relatives and in his own household.” His Word is so deeply hidden in humility that even those who should know better overlook it. Mary forgot who Jesus was. His family forgot who He was and thought He was crazy or worse. Even his disciples wanted more in a Messiah. We’re no different; we think holiness is something unnatural or ethereal, something surreal, above and beyond us. That’s a testimony to how much sin has corrupted us. We’ve become so accustom to sin we call it “normal,” as if that’s what it means to be human. “We’re born that way,” we sing with pride. But in truth, sin and death are abnormal. 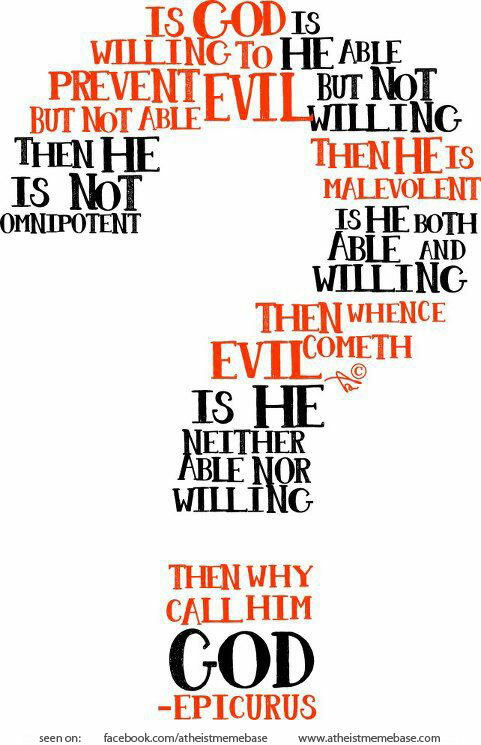 So, along comes God in human flesh, not simply a sinless man but God in the flesh, and He is unrecognizable. This puzzles people, and well it should. Jesus takes our twisted notions of holiness wads them up and throws them in the dust. Jesus turns our notions about how God works upside down and inside out. No displays of power, no coercion. Jesus didn’t do great miracles in Nazareth save a few healings. He doesn’t use miracles to coerce people. The miracles are for the broken few, not the skeptical many. Jesus doesn’t put on a show. He’s not a used-car salesman; He needs no gimmicks. And neither does His Church. Learn well from this. You can dress the up the Gospel all you want but then it ceases to be the Gospel. Evangelism needs no gimmicks. Christ’s Word and Sacraments need no parlor tricks. Yes, share the Gospel. Tell people their sins are forgiven; Jesus died for you. Invite them to church. But know this: Christ Crucified will never be palatable to our culture any more than Jesus was in his hometown. The Gospel is far too scandalous. Free forgiveness is absolutely outrageous. People will be offended today just as they were in Nazareth. Jesus knows this. His disciples knew it too. 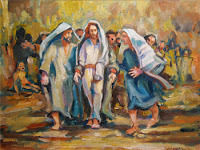 So Jesus gives the apostles an exit strategy if they aren’t welcome – shake the dust off your feet and move on. Jesus sending out the 12 foreshadows the church being sent out. We carry the same message: Christ Crucified for you and for the world. It’s simple, really. Jesus does His saving work in the most unlikely, ordinary ways: water and bread and wine and words. His holiness is hidden in weakness. God’s great glory is hidden in suffering. This is the great mystery of the Gospel: the greatest gift in the world and yet people reject it. Look at the Word Jesus gives us; it’s vulnerable and rejectable. It’s like seed in soil that can be choked out or scorched or eaten up by birds. Nothing flashy or shiny. No golden plates delivered by angels. No strange visions in caves. Nothing to make us go: oooooh aaahhhhh. Like Jesus in the hometown synagogue, the Scriptures are easily dismissed by people seeking “something more.” It’s simply a cobbled collection of sixty-six books assembled over more than 1500 or echoing one constant refrain: God’s promises for you in Jesus. The glorious Word is hidden under the frailty of men. 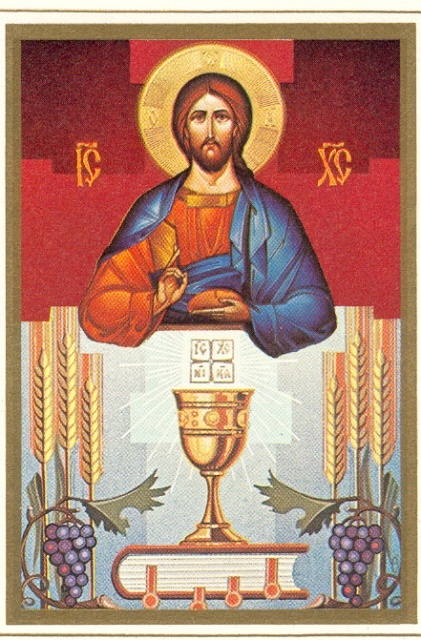 And look at how the Word comes to us in weakness – Word, Baptismal water, Eucharistic bread and wine. The strength is hidden. The glory muted. The gift is rejectable. This is how God has chosen to deal with us – hiddenly, quietly, gently, humbly, rejectably. You may want it some other way; you may want more; but there is nothing more than what Christ has given you. For this is the way God has provides for you. This way your faith, hope, and trust rests not in displays of power but in the hidden strength of the cross. So ordinary. So weak. So humble. So poor and lowly. 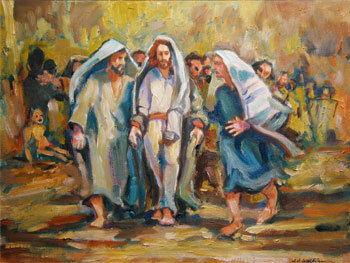 Jesus’ rejection in Nazareth points forward to his greater rejection on the cross. And by his rejection you are redeemed. He is betrayed and you are blessed. He becomes the least among men and you are named greatest in the Kingdom of God. This is how the Scriptures depict the “victorious life” of the Christian. Not that our prayers are answered the way a can of Coke comes out of vending machine. Not that we have no ills or troubles in the world. Not that we don’t fail many times over. Not that we don’t suffer and even die. But that in all these things we are content in the fact that God’s grace, His undeserved mercy toward us in Christ, is far more sufficient than anything and everything else in the world. For it is through these backwards, upside down, ordinary ways that Jesus is working extraordinarily good things for you. Your Baptism may only look like plain water. But behind it lies the power of sins forgiven, washed away by the blood of Christ crucified. The Absolution may only look like words spoken by a sinner. And yet through that sinner Christ’s Word Christ announces the forgive all your sins. The Lord’s Supper you receive may only look like plain bread and wine. But behind it lies the power of the open, empty tomb – the crucified and risen Christ who conquers death forever. How can water, word, bread and wine do such great things? The Crucified and Risen Christ comes to you, his family, once again in the most ordinary of ways and fills the Church with Himself. 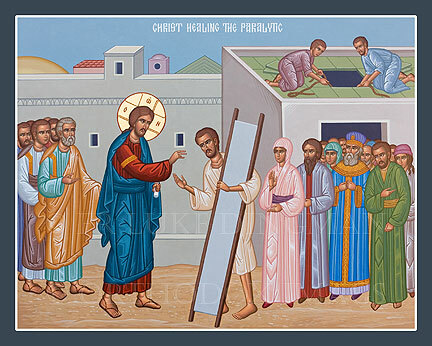 And just as Christ works in the Church so too He works in our daily lives: ordinary, everyday holiness: in your vocation serving neighbor, friend, or family; in your vocation here at church: serving on boards and committees and being involved, often in nameless, thankless tasks. And yet each one of us is a member of Christ’s body. God hides his mercy and service in your mercy and service to others. And Christ is hidden in the neighbor for you to love. Today we rejoice with Mark in the ordinary. The hidden. The true wisdom of God: Christ Crucified. For your salvation from sin, death and hell is found in none other than this ordinary, carpenter’s son from Nazareth. Let us not be offended by him. Here's a little update on campus ministry in the Pacific Southwest District. And yes, I realize this is some insider baseball. But campus ministry is valuable both within the Lutheran church and without, for the sake of the communities in which they, live and move and have their being. Our campus ministries are outposts of the Gospel which makes them anything but self-serving. They serve their congregations and their communities faithfully to all those inside and outside their walls. Following the PSD convention June 27-29, I thought it worthwile to hammer out a few thoughts and some of the favorable results for campus ministry here in the PSD. Previously I have written against the sale of both the ULCMN and the potential sale of the ULC at UCLA. In the body of Christ when one member suffers all suffer. And so I grieve with the congregation at ULCMN. And we also rejoice with those who rejoice. And thankfully there is some good news when it comes to campus ministry in the PSD. Recent events in Lutheran campus ministry nationwide - i.e. the sale and desacrilization of ULCMN - cannot help but cause deep concern among those intent on preserving, protecting and promulgating campus ministry in our church and for the sake of the gospel. I cannot add anything in this article that hasn't already been said in the many well-written articles on ULCMN. But there is one connection between ULCMN and ULC at UCLA that I think is worth exploring. 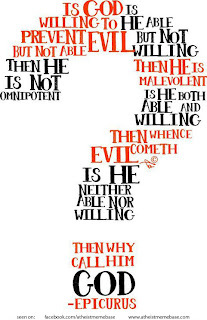 When it comes to the ULCMN, I can't help but recall Joseph and his brothers in Genesis 50:20, "But as for you, you meant evil against me; but God meant it for good, in order to bring it about as it is this day, to save many people alive." What good God will work out of the heart-wrenching sale of the ULCMN is yet unknown to us. And yet, the Lord is faithful. Even though men in synod, district and bureaucracies will fail us, Christ's promises never fail. And as I reflect upon the actions taken by the PSD in convention, I can't help but think that one of those unknown, mysterious good things that the Lord is working is the support of campus ministry here in the PSD, especially at UCLA. Last week at the Pacific Southwest District (PSD) convention steps were taken to secure and protect both campus ministries and their facilities at UCLA and UCSD La Jolla. However, if a delegate were looking only at the resolutions the floor committee brought to the convention one would never have known that campus ministry was in danger, much less of any importance to anyone in the PSD. Out of eight resolutions in direct support of campus ministry in the PSD, the following resolution was brought to the convention floor. RESOLVED, that the PSD BOD is encouraged to remain cautious that the disposal of properties not endanger existing ministries. You can find all the overtures on campus ministry in the convention work book for the PSD here. And the floor committee resolutions that were issued prior to any discussion, amendments or voting can be found here. RESOLVED, that the Board of Directors publicize all property sales and transfers on the district's web site and prepare a comprehensive report of all district properties including their current use, occupancy, condition, indebtedness, and fair market value for the 2015 district convention. I have added the key RESOLVED in bold for emphasis. This was the key part of the amendment. Many thanks for the hard work of the student leadership at UCLA, Pastor Mark Jasa and especially Pastor William Cwirla for bringing the above amendments to the floor for discussion and voting. Ultimately, after the discussion subsided and an amendment was made, the amended resolution passed by an overwhelming majority. Of course there is much more work to do in support of UCLA. The convention may be over but the work of the Church in Word and Sacrament does not stop for voting delegates, whether the ministry is supported or sold. And I continue to grieve for Pastor Kind and the congregation at ULCMN even as I also pray for more joyful days as they continue to labor in the gospel on campus and in their community. Here in Southern California a cautious victory in favor of campus ministry has been won. And for that we are thankful. Together UCLA, ULCMN and all our campus ministries declare and defend the gospel following in a grand campus ministry tradition that began in 1517 and will remain even when steeples are falling.